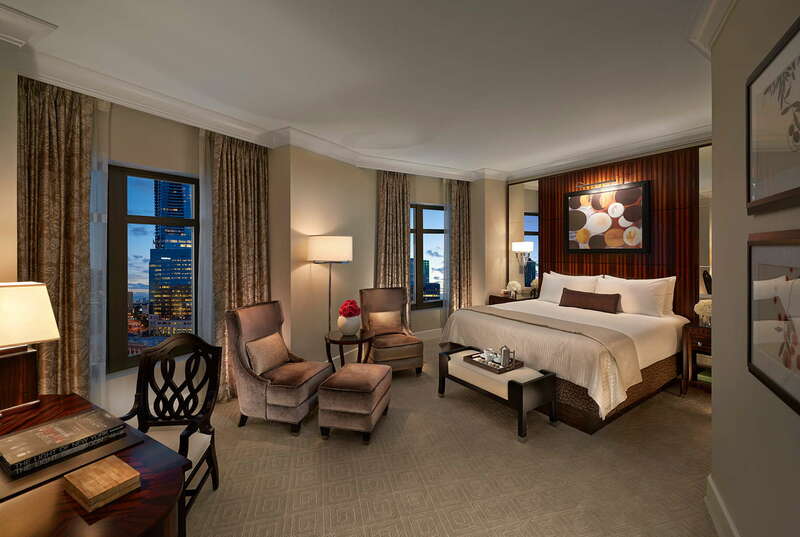 Sophisticated glamour with a touch of Zen characterizes this upscale 42-story Buckhead hotel. Guests are offered bottled water and cool towels on arrival, and most of the spacious guest rooms offer great views and ample balconies thanks to the building's eight-sided tower. 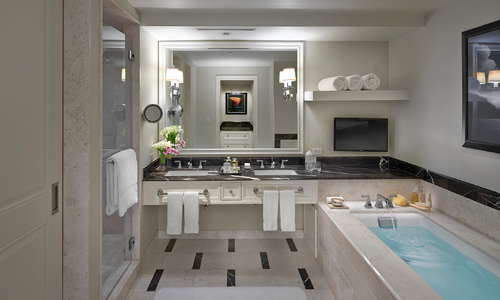 Rooms also all boast bathrooms with two sinks and separate tubs and showers. 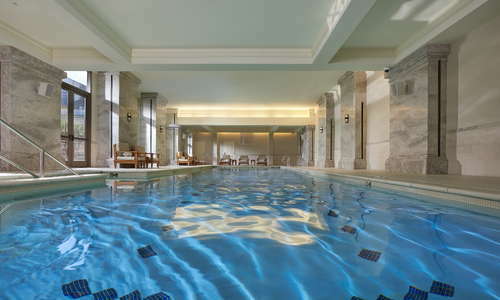 The 15,000-square-foot spa occupies an entire floor. YOU SHOULD KNOW Wi-Fi costs $12.95 per day unless you join the Fans of MO loyalty program. It's free to join the program and you can even join after checking in, in order to access the free Wi-Fi as well as other perks. 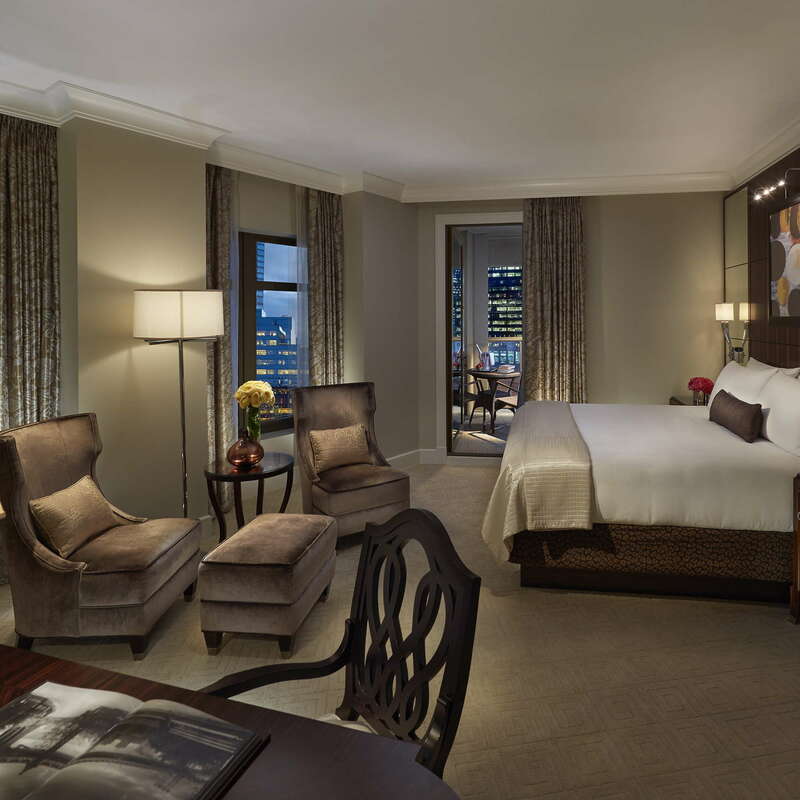 Boasting some of the largest hotel rooms in Atlanta, the five-star Mandarin Oriental maintains a boutique feel thanks to only 117 rooms and 10 suites. All rooms feature plush carpeting, contemporary artwork, elegant furnishings, marble bathrooms and high-speed Wi-Fi for up to six devices. 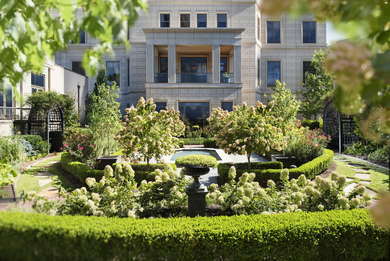 Suites have private balconies overlooking Peachtree Road. 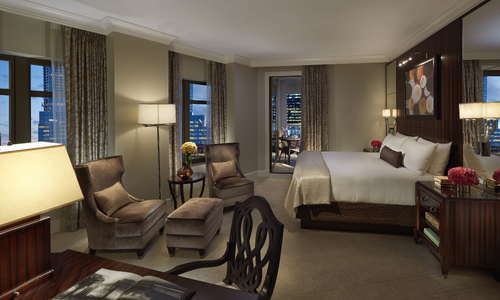 For a quiet stay, ask for a room that over looks the hotel gardens, rather than a room that may overlook the rather busy Peachtree Road. 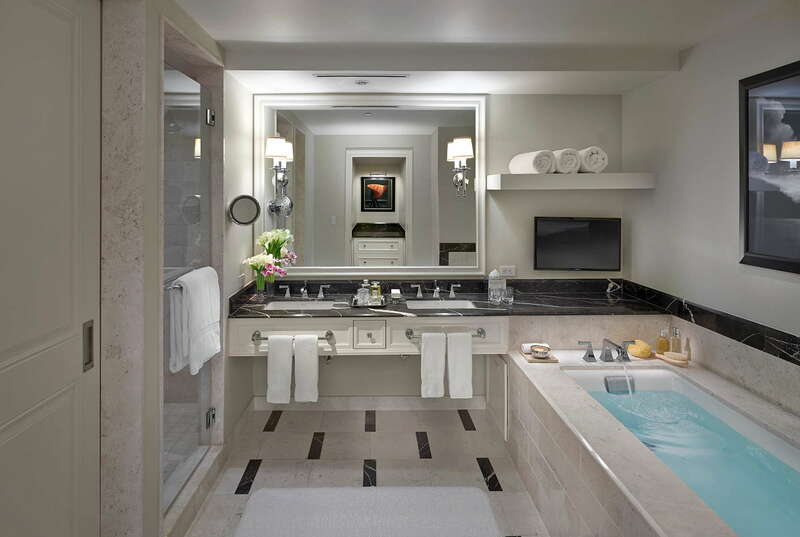 White marble bathrooms are enormous with walk-in showers, double vanities and separate soaking tubs. Bath amenities are from South African skincare brand Quintessence, and were developed exclusively for the Mandarin Oriental. The stark white walls and white and black marble floor gives the lobby a bit of a sterile feel, but the marble fireplace does a lot to make the seating area of oversized leather chairs more inviting. There's also a beautiful grand staircase and a crystal chandelier over the seating area. 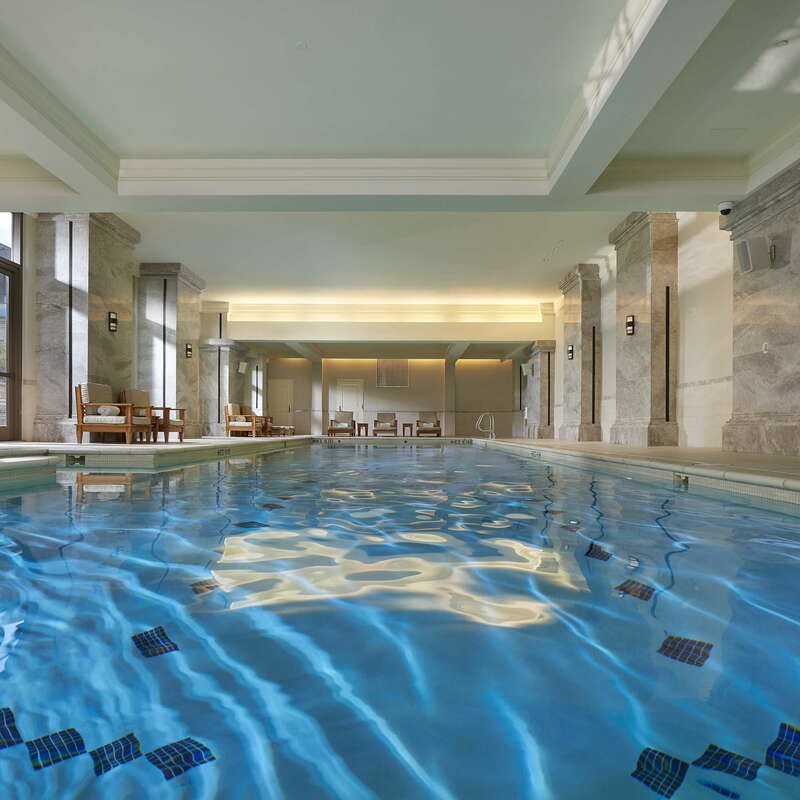 There's a 60-foot, indoor saline water lap pool with French windows overlooking the private gardens, as well as a steam room, sauna and vitality whirlpool in the spa. 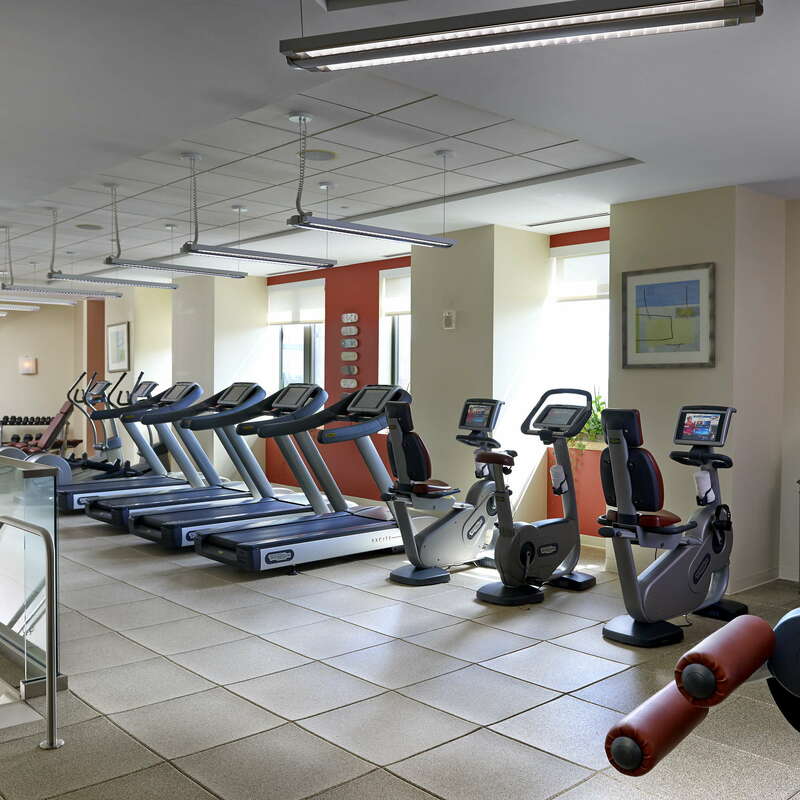 The state-of-the-art fitness centre offers a range of exercise equipment including treadmills, seated bikes, free weights and weight machines. There's also a yoga studio with classes on Saturdays ($30 per class), access to Fitness on Demand classes in the yoga studio and personal training is available as well. 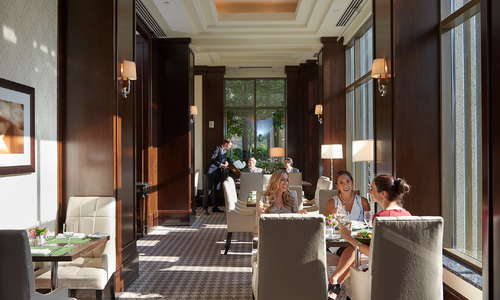 The Café and Bar serves breakfast, lunch, and dinner dishes of Asian-inspired regional cuisine like She-Thai soup, a play on southern She Crab soup with crab, shrimp, lemongrass, coconut milk, mushroom and basil, or braised short ribs with ginger carrot mousse. In keeping with their Oriental heritage, the hotel offers a Dim Sum Sunday brunch from 10 am to 2 pm. SouthEast Terrace bar offers signature cocktails with both southern American and Far East influences, like the Mandarin Mule with Mandarin Blossom Vodka, lime and ginger beer. 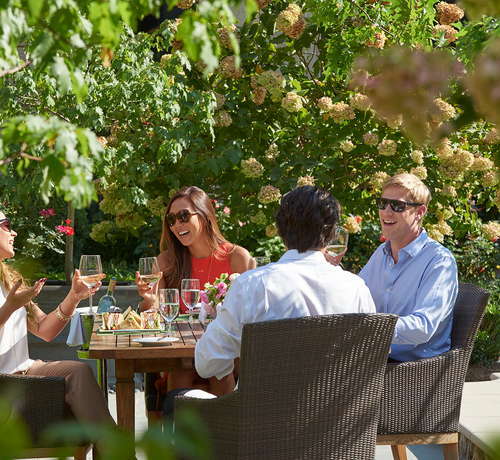 There's also wine and sparkling wine by the glass and local beer. Along with alcoholic sips, don't forget to experience the traditional afternoon tea service with a variety of global teas, scones, tea sandwiches and sweets. 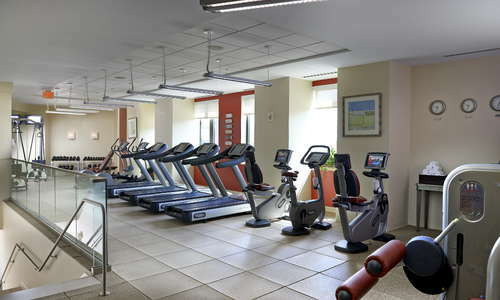 The Mandarin is in the heart of the upscale Buckhead neighborhood so attractions like Lenox Square Mall and Phipps Plaza are within walking distance, while the Atlanta Botanical Garden, Georgia Aquarium and the High Museum of Art are a short drive. 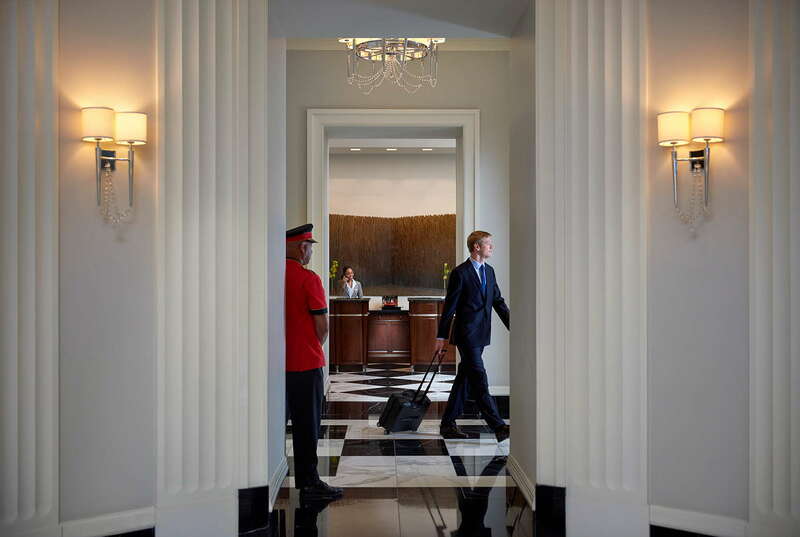 If you're staying at the Mandarin you're most likely not interested in the MARTA, but the Buckhead station is just a 3-minute walk from the hotel. There's also a complimentary house Mercedes for short rides. Try South City Kitchen Buckhead (3-min walk) for refined southern cuisine like pimento cheese, and Springer Mountain Farms fried chicken with collard greens and red bliss potatoes. A 5-minute drive brings you to New York Prime for seafood towers, USDA prime steaks and classic sides like asparagus with Hollandaise, garlic spinach and cheese mashed potatoes. 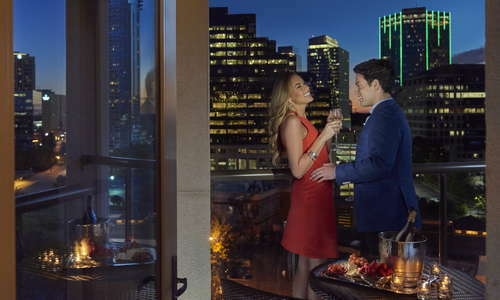 Most of the bars in this area of Buckhead are located within other high-end hotels. 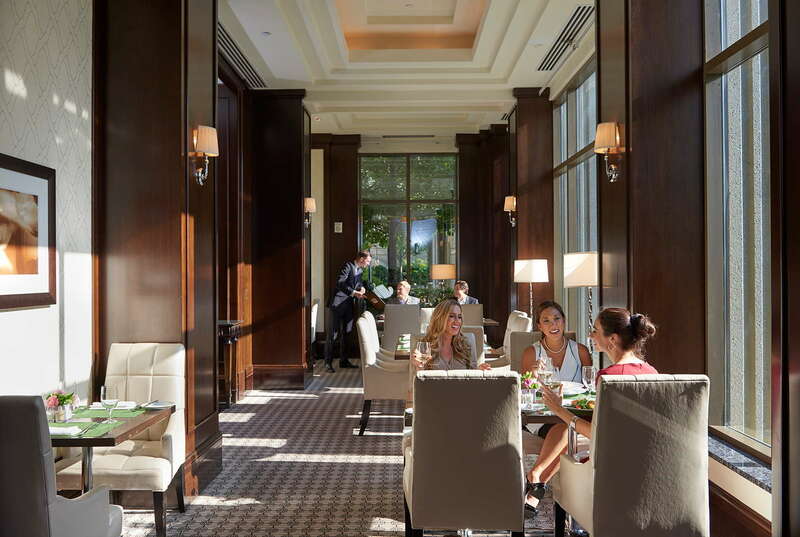 Try Southern Art Bourbon Bar within the InterContinental Buckhead Atlanta for a selection of more than 70 bourbon offerings, as well as live music and entertainment on Fridays and Saturdays (6-min walk). 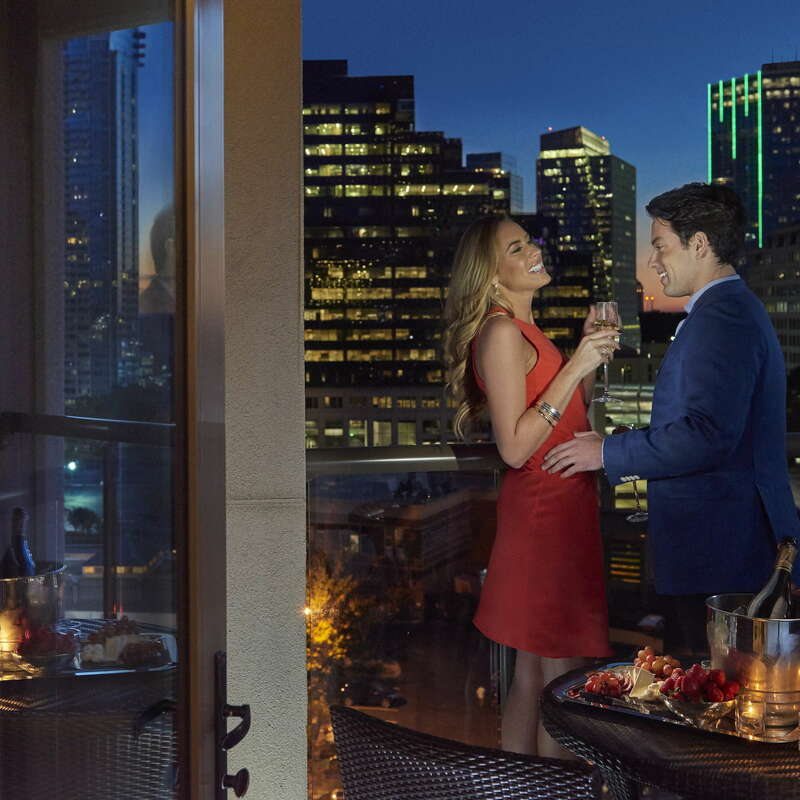 Or sip cocktails high above Buckhead at Whiskey Blue rooftop bar at the W Atlanta-Buckhead. Like all Mandarin Oriental hotels, this Buckhead property delivers utmost luxury -- but as a boutique property, it offers a more intimate vibe than others, with classic Southern decor and flower-covered grounds. 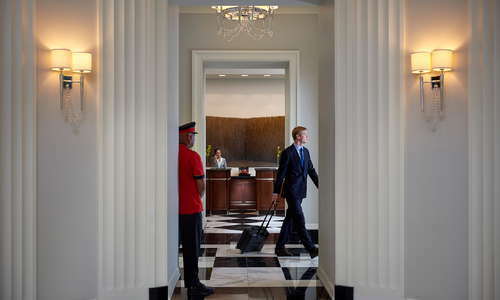 You're likely to have a nice chat with in-the-know Atlantans in the spa since its a favorite destination for locals, and the location in the heart of Buckhead is a great home base for exploring all that Atlanta has to offer without being smack in the middle of sometimes chaotic downtown Atlanta.